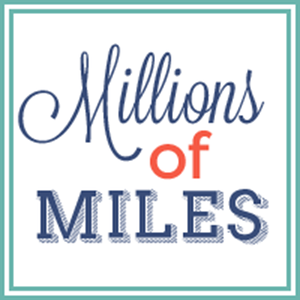 Millions of Miles: Spring has sprung! We had sunshine yesterday and temps above 30 degrees for the first time in ages. We took full advantage and got the kids outside to run off some energy! I have taken about a million pictures of Miles, but two of my very favorite ones happen to be with each of my parents. Here is one of Miles with my dad. Every time I look at this one, I am just reminded of how we are all much more alike than we are different. And my other favorite I took last night at my Granny Sadie's 74th birthday dinner. Miles is really into people's faces. He loves to explore faces with his hands. He gets so excited about it he slaps love taps all over who ever has him. He is just trying to show affection, but my gosh- the little guy has some power in that swing. He was trying to show GrandMary just how much he loved her and I caught the moment right before that big smile on my mom's face turned to tears from having her nose cracked. Sorry you got hurt mom, but I still LOVE this picture! Miles says, "Sorry,GranMary. I love you!"